Roberto Di Matteo was, in a sense, a surprise short-term appointment. The likes of Fabio Capello and Rafael Benitez was named as potential interims, but neither was really approached. Instead, Roman Abramovich opted for the safer, quicker option. Roberto Di Matteo. Assistant manager duties became managerial responsibilities. Quietly, he assembled his team, drafting in colleague and friend Eddie Newton. Slowly, in the background, Chelsea were reuniting. There was silent urgency. The players rallied behind. Vindication at the greatest level. Compare Chelsea now to how they were six months ago. The 3-1 defeat to Aston Villa was soon followed by draws to Swansea, defeat to QPR, and another stalemate to Norwich. And look at them now. Somehow prevailing against Napoli, a master-stroke of a performance against Barcelona, a thumping of Tottenham, another FA Cup winners medal, and now a chance to secure the Champions League. This is no luck. 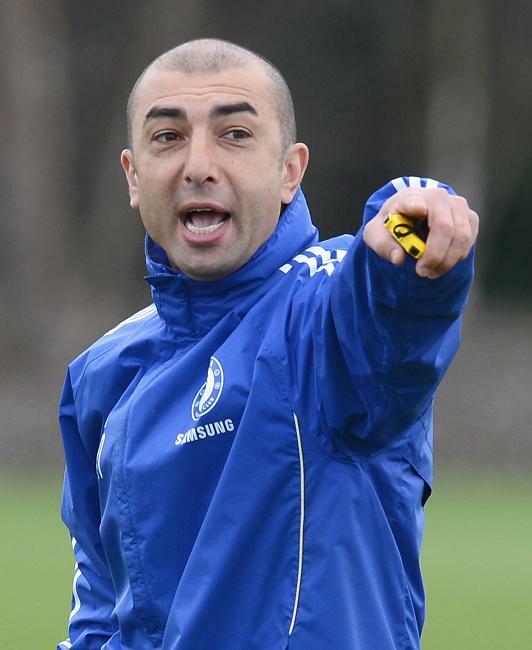 Roberto Di Matteo has been more communicative psychologist than tactical genius. But it has been more effective. The togetherness and spirit has been restored. The life, the belief. Contrary to AVB, who, allegedly, treated players as numbers on a whiteboard, RDM has sought to talk as human to human. In a way, he has had an advantage: he has seem where it has gone wrong. He is correcting it now. The fans adore him here. Even before he arrived, he had so much history with the club as a player, creating so much success. The fans appreciate that and he was welcomed with hero status from the off. But just because he was liked to start does not mean he will near the end. He has still had to do his bit. More success as a manager – another page written in his chapter in the Chelsea history books – and the fans don’t want anyone else. He has already checked the box of getting on with the fans. One-nil already. The people who say that Roman Abramovich might want “a bigger name” than “Roberto Di Matteo” are totally ridiculous, is 15 letters not big enough? Joking aside, that’s probably what has done Chelsea good. Not a big name means not as high expectation. Not as high expectation means less pressure, allowing Di Matteo to get on and just do his job. We’ve seen before big names fail. Luiz Felipe Scolari, to name one. We’ve also seem the inexperienced, Andre Villas-Boas. Both we had high expectations of. The latter buckled at the sheer magnitude of the task, to overhaul Chelsea. Maybe Roberto can handle it better. If he leaves big names out, maybe they will be more understanding with him. At 41-years-old, he is the same age as Pep Guardiola and the same age as when Jose Mourinho started out at Chelsea in 2004. This man is not too old, or too young. He combines his experience with his current awareness. He respects old-fashioned discipline, getting the players onside, but he is also young enough to have a laugh with the players. Maybe this is exactly the type of manager Chelsea need. 41-years-old is still young, so why can’t he lead the Chelsea overhaul? AVB, at 33, was perhaps still a little too young. Perhaps too unaware about the pressures of losing, having won everything possible at Porto. Similarly, Chelsea would not want an older man to see through the youth. So Di Matteo has the perfect balance. 5) Do we need a fifth reason? It might seem an anti-climax of a point, but why not? Roman Abramovich has had – and parted company – with eight managers in the last nine years. It hasn’t worked with them, but Chelsea have been a different side under Roberto Di Matteo. Decisions have gone Chelsea’s way; some would call it luck, but never is luck truly a fluke in football – there is some method in the game. That has got to be down to the way Roberto has interacted with the players. Roberto Di Matteo has shown enough since March to convince the fans. He has gotten some players performing again: Frank Lampard, Didier Drogba, John Terry. We’ve seen a resurgence in John Obi Mikel, Ramires and Mata proving influential. What he could potentially do over the weekend – in two months – is something never achieved in the entirety of the Russian oligarch’s era. That merits a job. Decision time, Mr Roman. It’s your call. Make it a good one. This entry was posted in Analysis, Andre Villas-Boas, Aston Villa, Barcelona, Champions League, Chelsea, Didier Drogba, FA Cup, Fernando Torres, Frank Lampard, John Obi Mikel, John Terry, Juan Mata, Liverpool, Napoli, Petr Cech, Premier League, Ramires, Roberto Di Matteo, Tactical, Tottenham Hotspur and tagged Andre Villas-Boas, Barcelona, Champions League, Chelsea, FA Cup, FC Barcelona, Fernando Torres, football, Liverpool, Roberto Di Matteo, Torres, Tottenham, Tottenham Hotspur. Bookmark the permalink. Secondly, absolutely. I still have my doubts (ie. I feel 100% certain he won’t get the job), but I felt I ought to write a blog on why he should get it at least, even if he doesn’t. 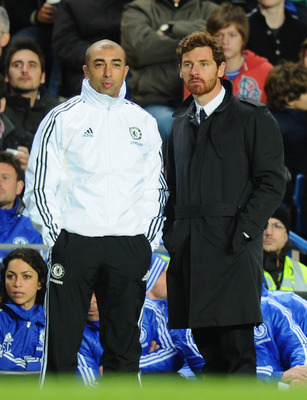 Absolutely, he is a manager, so I was quite surprised when he decided to accept this more “behind-the-scenes” role as assistant; perhaps as he has matured into a manager, there was a little tension between him and AVB, but he knew he could not do anything about it because he wasn’t the manager. But yes, certainly, he has seen where it has gone wrong and improved. Kudos to him.